Taste test: These are a below-average supermarket-brand version of Doritos. 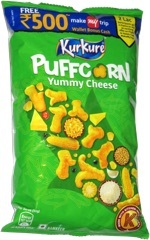 The cheese taste is OK, not as cheesy as Doritos, but not bad. 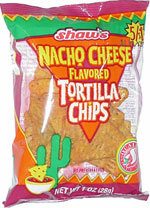 But the chips just aren't crisp  the crunch is no good, and the overall experience is nothing special as a result. (We ate these the same day they were purchased, and over two months before the expiration date, so there are no excuses here.) On the plus side, this bag only cost 20 cents. Smell test: Nice, mild nacho cheese and tortilla chips smell. Toasty.